Raising a tween is hard work. I never would have imagined longing for the day when my biggest worry was whether my kid might choke on a grape or get hurt on the playground, but I do. Today I worry that my budding teen might fall in with the wrong crowd, say yes to drugs, or worse. Parents of kids ages 9 to 12 understand that their tweens are belonging less to them and more to the world every single day by virtue of their behavior. 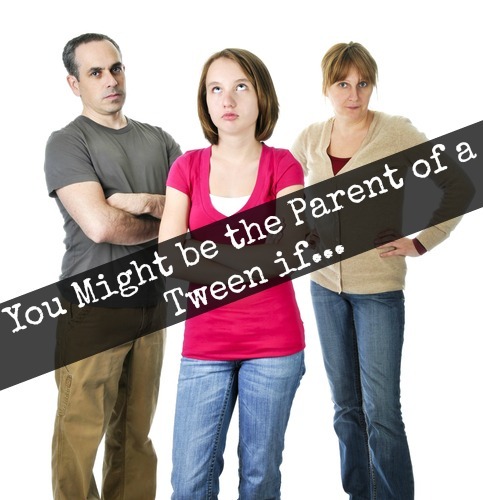 Take a look at the following behaviors that confirm you’re the parent of a tween! I love working with this age group! Great post!